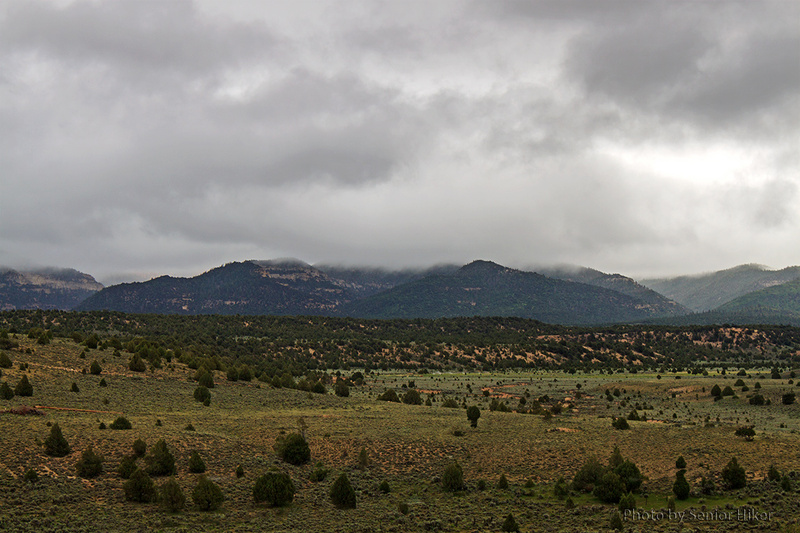 Scene on the highway from Kanab, Utah, to Bryce Canyon. June 19, 2011. 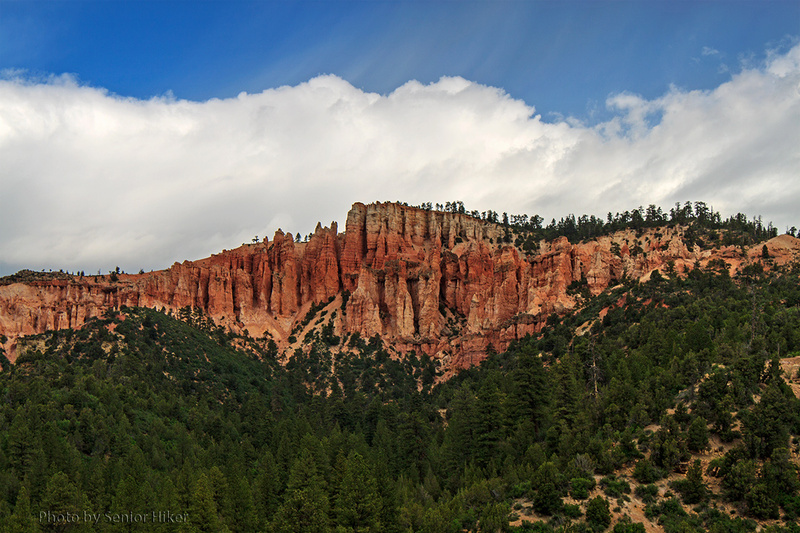 On going through my archives recently, I found some pictures taken in June, 2011, as Betsy and I drove from Kanab, Utah, to Bryce Canyon. The morning was very overcast, so we weren’t sure of what the weather would be like at Bryce, but we headed out anyway. 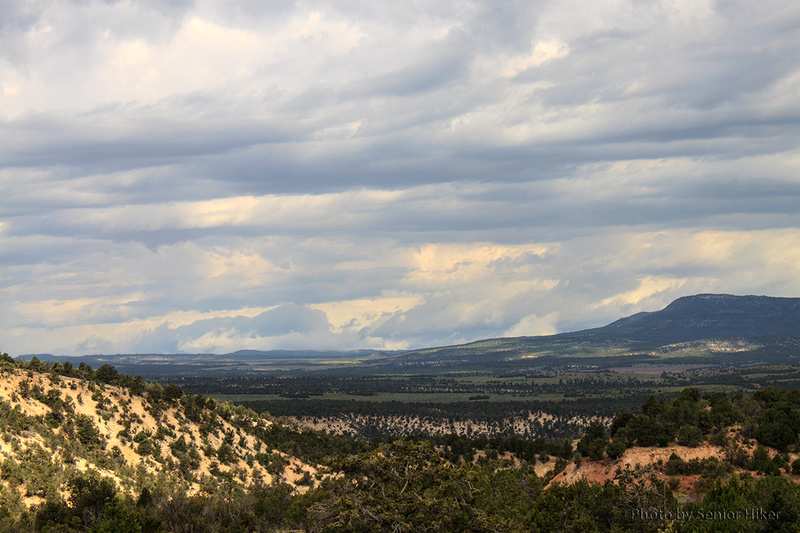 As we drove along we were impressed with both the Utah landscape and the vastness of the sky. We stopped several times along the way to get pictures. At times the clouds were so low that they they touched the tops of the mountains in the distance. At other times the clouds would part enough for us to see blue skies and the beautiful red cliffs of Utah. On a more personal note, I had my first date with my Beautiful Bride on March 29, 2001. She was a minister at Hendersonville (Tennessee) First United Methodist Church, and we made a dinner date to discuss some Bible Study lessons I had missed because my work took me out of town. The Bible Study never came up the entire evening. The Shoals of Mill Creek, Cohutta Wilderness, Georgia. March 8, 2011. It should come as no surprise that Betsy and I have favorite places we have visited several times. Ocean Isle Beach in North Carolina is one, and Mt. Nebo in Arkansas is another. But there are other places we have returned to as well. One place a little closer is Mill Creek in the Cohutta Wilderness of northern Georgia. We came across Mill Creek almost by accident the first time we were there, but there was a short hike from a campground along the creek to what is called the Shoals of Mill Creek. 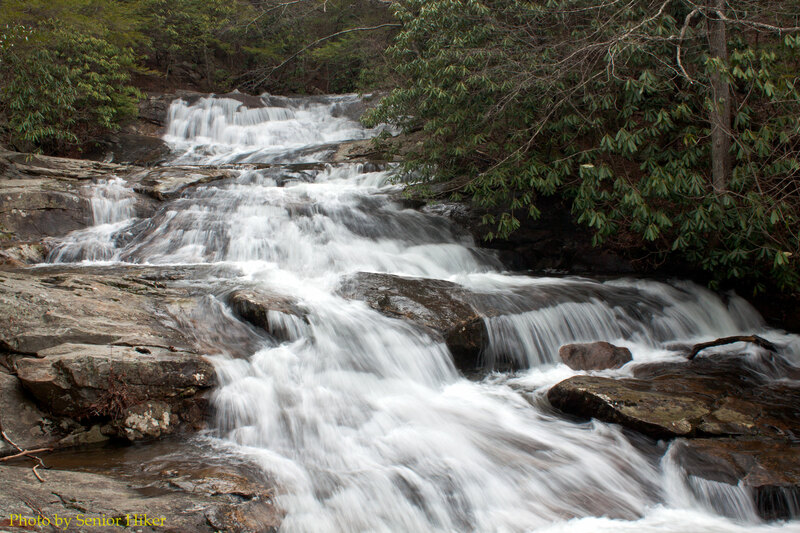 There are several places along the creek where we could sit and enjoy the beauty and the sound of rushing water. It takes a fairly long drive along a gravel Forest Service road to get to Mill Creek, but we both definitely think the drive is worth it. 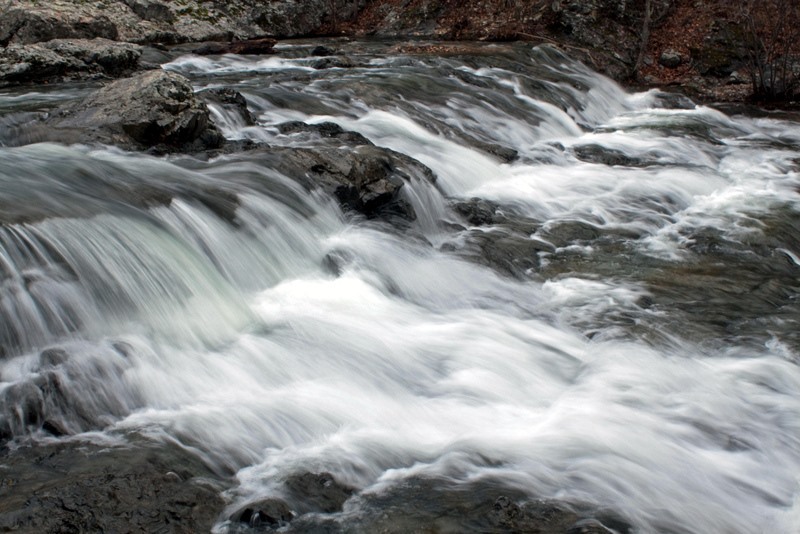 The photo above, from my archives, was taken during a visit to Mill Creek in March, 2011. 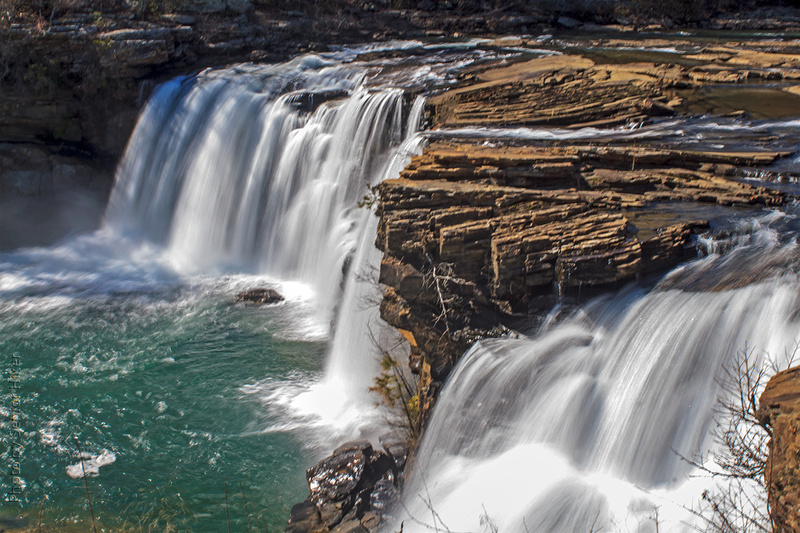 Little River Falls, Fort Payne, Alabama. March 8, 2013. This is my post for the Our World meme. This meme is a second generation of My World Tuesday created by Klaus Peter and is hosted by five wonderful ladies. To learn more about our world or to join and share your part of the world, click HERE. 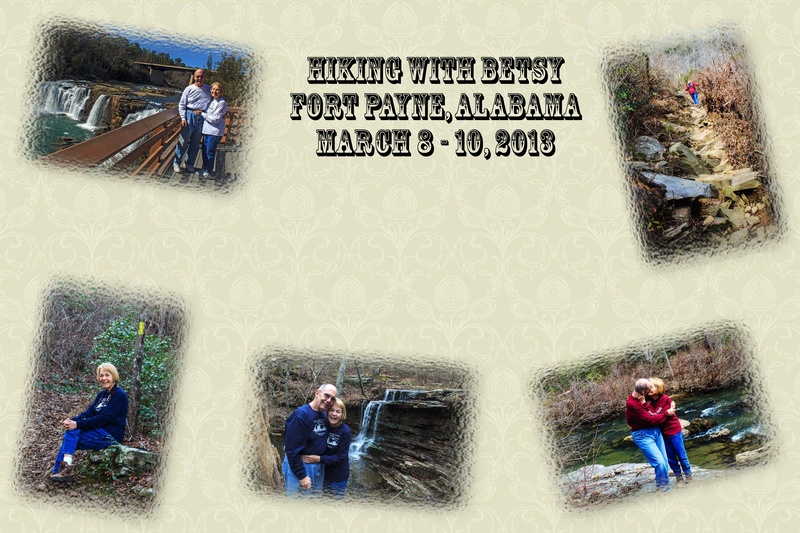 Earlier this month Betsy and I went to Fort Payne, Alabama, to celebrate my birthday. 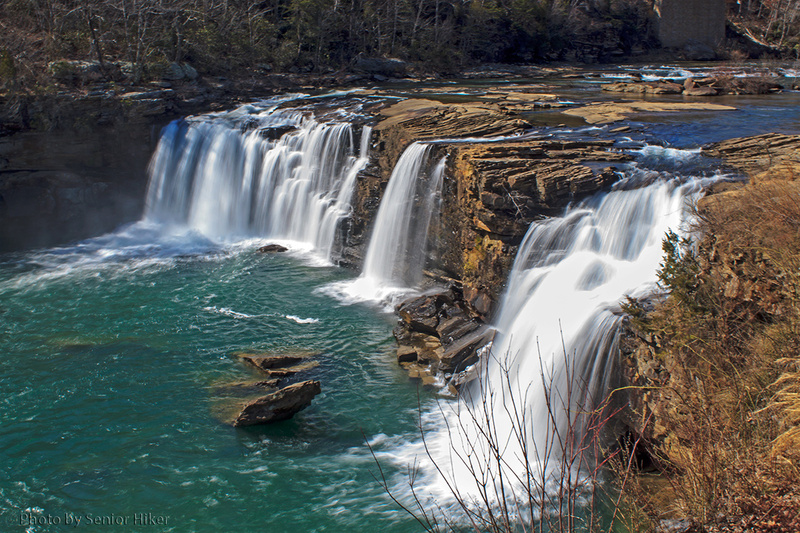 One of the first places we visited was Little River Falls in Little River Canyon National Preserve. Little River is unique in that it flows for almost its entire length along the top of Lookout Mountain. As such it doesn’t have much depth, but there was a good water flow when we were there in March. 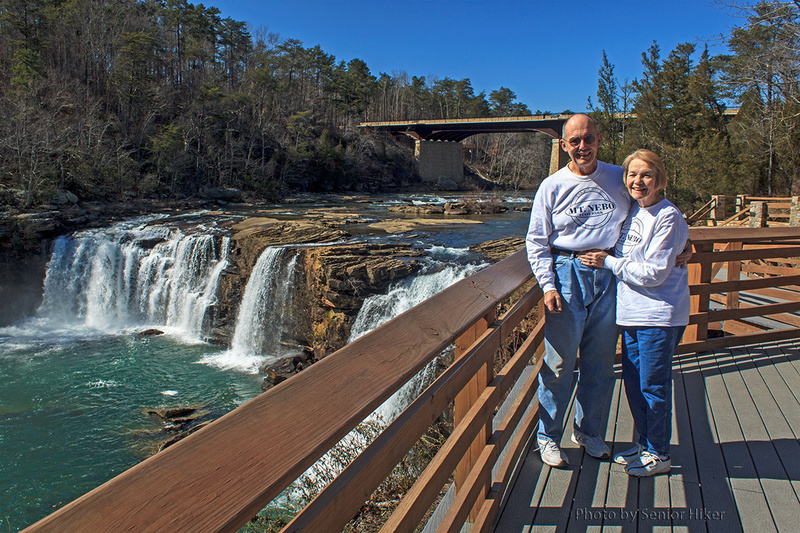 Betsy and I at Fall River Falls, Fort Payne, Alabama. March 8, 2013. We have been to Little River Falls before, but this time we found a new boardwalk and observation deck. The deck allowed us to have a wonderful view of the falls. 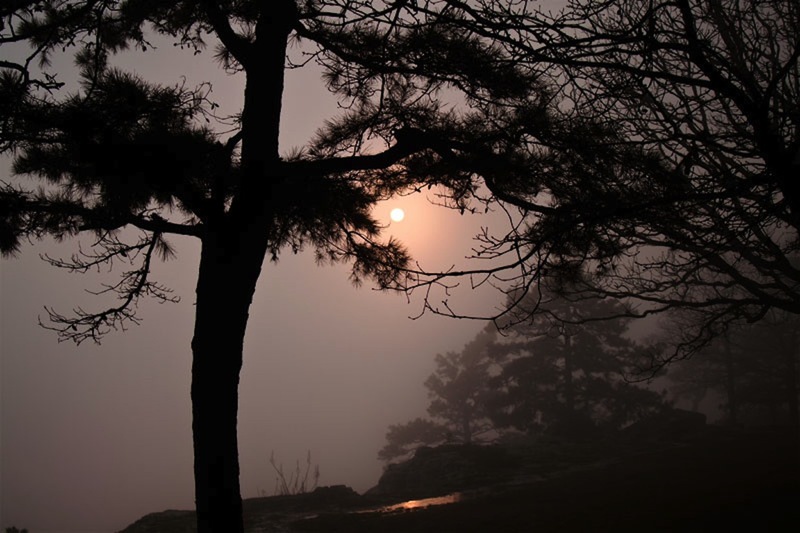 A foggy sunset from Mount Nebo, Arkansas. March 31, 2011. Not every sunset on Mount Nebo is perfect, in spite of some of the pictures we’ve posted from there. Fog came rolling in late one afternoon a couple of years ago, and we were afraid we wouldn’t see anything at all of the setting sun. The fog was fairly thick, but I got this photo of the setting sun before it completely disappeared. I like the reflected light on the wet rock near the bottom of the photo. Little Missouri Falls, Langley, Arkansas. February 22, 2010. Betsy and I don’t always agree with the writers of the books we use to find waterfalls. We haven’t been disappointed as much as we’ve been surprised. 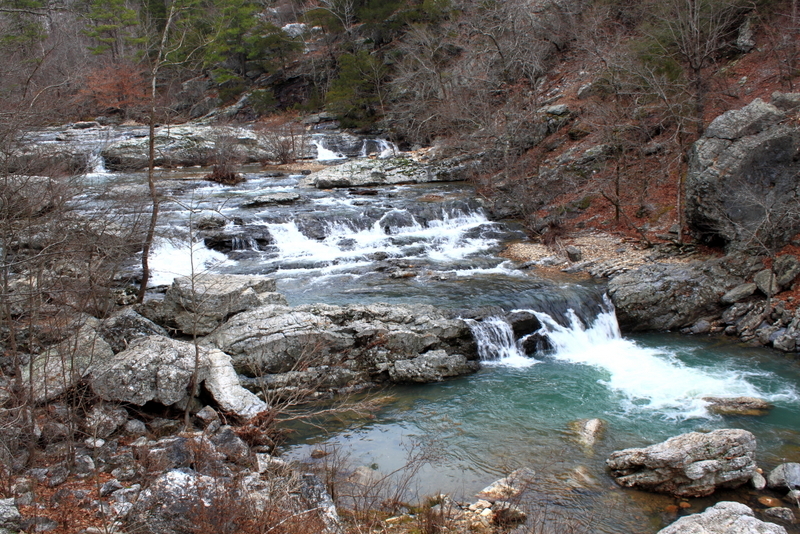 We read about Little Missouri Falls in one of our books on Arkansas waterfalls. 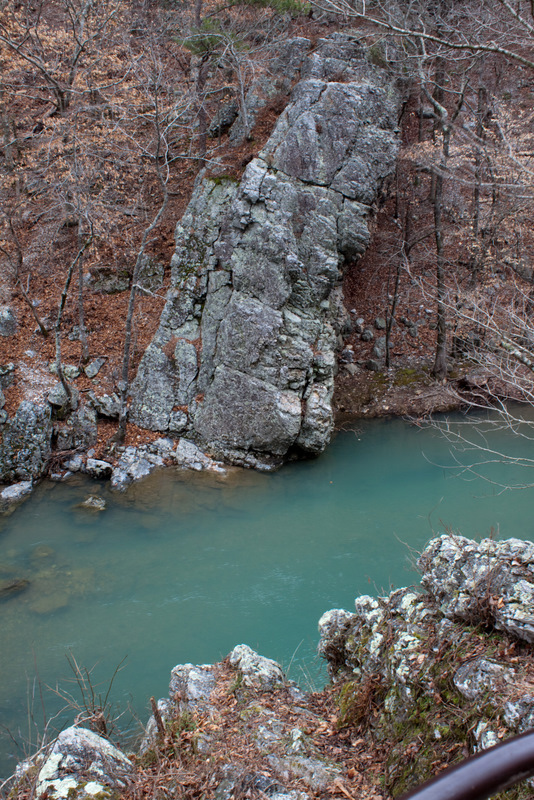 The description in the book talked about a waterfall on the Little Missouri River with multiple drops in the Ouachita Mountains of Arkansas. Since we were getting pretty good at navigating Forest Service roads, we decided we would check it out. We found Little Missouri Falls (above), but we both thought it was more of a cascade than a falls. Don’t get me wrong — it was very pretty, especially as the water rushed over the rocks. Little Missouri River, Langley, Arkansas. February 22, 2010. A nice bonus was the color of the Little Missouri River below the falls. The mountains of western North Carolina as seen from an overlook on Grandfather Mountain. November 8, 2011. Since Betsy and I live in Tennessee, we’re naturally fond of the Smokies. We visit the Smoky Mountains whenever we can. But the mountains of western North Carolina are pretty neat as well. I lived in Black Mountain, North Carolina, for thirteen years and enjoyed exploring the Blue Ridge Mountains. The highest peak in the Blue Ridge Mountains of North Carolina is Grandfather Mountains. (Mount Mitchell, the highest peak in the state is in the Black Mountains.) Betsy and I visited Grandfather Mountain in November, and I was able to capture this panorama view of the surrounding mountains from one of the overlooks. 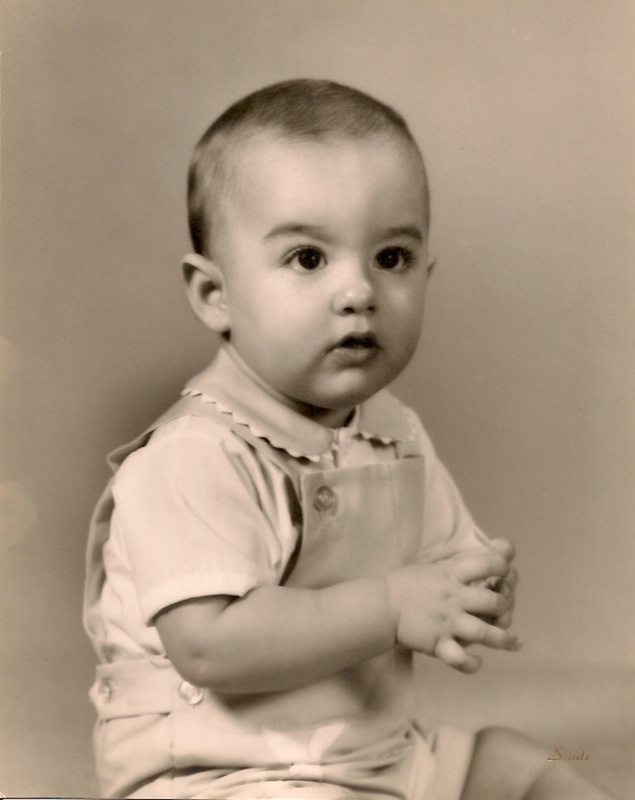 It’s hard to believe that this cute little boy is 44 years old today. He looks like a little angel in this photo, but the photographer really had to work to get this photo. Bobby didn’t want to have anything to do with picture-taking. But the photographer made a loop of scotch tape and put it between Bobby’s hands. When Bobby got distracted trying to get his hands apart, the photographer squeezed a squeaky toy causing Bob to look up. The result was this, one of my favorite pictures of my little boy. Speaking of hard to believe, it’s hard to believe I’m old enough to have a son that old. Betsy planned a wonderful birthday celebration for me last weekend. We went down to Fort Payne, Alabama, to do some hiking and visit some waterfalls. We’ve been dan there before, but there was more water this time than on our earlier visits. Hiking with Betsy is a great way to celebrate a birthday, or any day. The collage above contains photos taken last weekend. 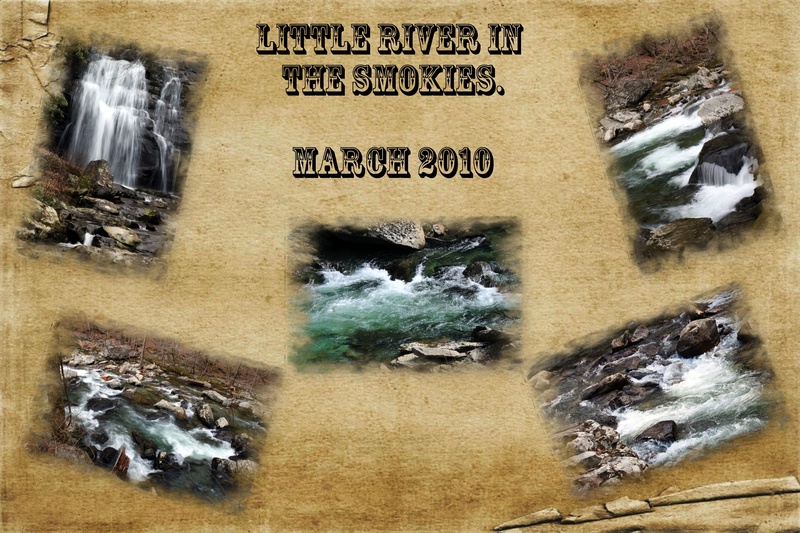 The picture on the upper left shows us at Little River Falls in the Little River Canyon National Preserve near Fort Payne. Although I love hiking with Betsy, she does sometimes get carried away with the trails she picks as you can see by the picture on the upper right. Betsy patiently waits while I’m playing around trying to get the ‘perfect’ shot, as the picture on the lower left shows. (I love that beautiful smile!). The middle picture shows us at Lost Falls in Desoto State Park. The picture on the right shows the best part of hiking with Betsy. This picture was taken along the West Fork of the Little River, also in Desoto State Park. I’m already looking forward to our next hiking trip. 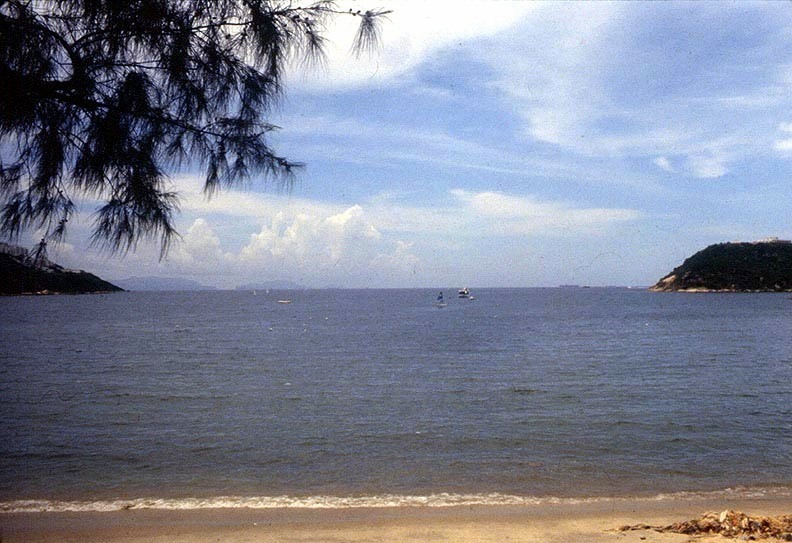 Repulse Bay, Hong Kong, June, 1987. All of these pictures were scanned from slides. When I went to China the first time (1987) our first stop in Asia was Hong Kong. Hong Kong was still under British rule at that time, and the mixture of European and Oriental influences was fascinating. Hong Kong was (and I believe still is) a crowded city. But while there we visited Repulse Bay, a beautiful area which was largely unspoiled. 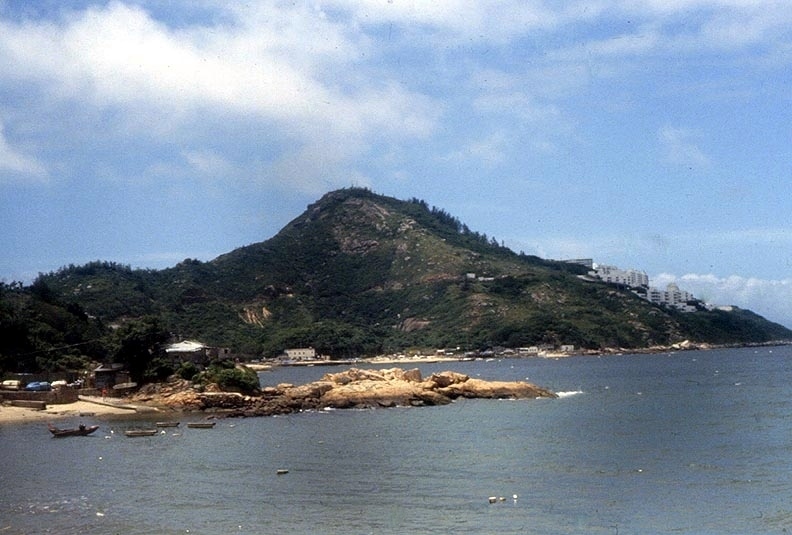 There are a couple of explanations for the name, Repulse Bay. One story is that the name comes from a 19th century battle in which the British army repulsed attacking pirates. 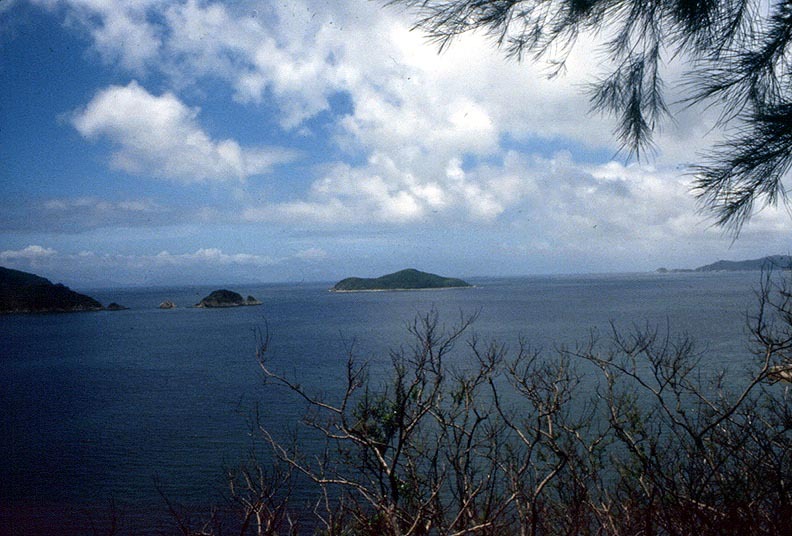 Another story is that the bay got its name from HMS Repulse, which was stationed there in the 1840s. Regardless of how the bay got its name, it was a beautiful, quiet spot in 1987. My understanding is that it is now a luxurious residential area. March is a wonderful time to visit the Smoky Mountains here in Tennessee. There usually aren’t too many tourist, especially during the week, and it is possible to pull to the side of the road and enjoy the scenery. The water levels are usually pretty good in March, so it’s possible to get some nice pictures of flowing water. The waterfall in the upper left corner of this collage is Meigs Falls, which can be seen along Little River Road. The other pictures are of Little River taken at pull-offs along the road.